China and India are leading the world. Kind of. In the dovish tilt that's defined interest rates lately, only two noteworthy central banks have actually loosened monetary policy: the People's Bank of China and the Reserve Bank of India. Both have indicated there's more to come. When people talk about Asia's two giants moving out front, they tend to be thinking about geopolitics, or the often-asserted retreat of American preeminence. They may also be talking about how the sheer size of these economies, backed by large populations, has grown. Few mention monetary policy. The Federal Reserve's pause made it much easier for other central banks to follow, mostly rhetorically, without seeing their currencies crumble. In one case, Japan, major easing remains in place. But the Bank of Japan hasn't undertaken fresh easing steps. Europe is prevaricating. These other central banks aren’t exactly vacant space. There's been lots of talk about the slowing world economy and acknowledgement that inflation isn't firing, to put it mildly. Risk management is on officials’ lips, glasses that were once half full have become half empty and predilections to raise rates have been replaced by an overwhelming rush to ... wait and see. 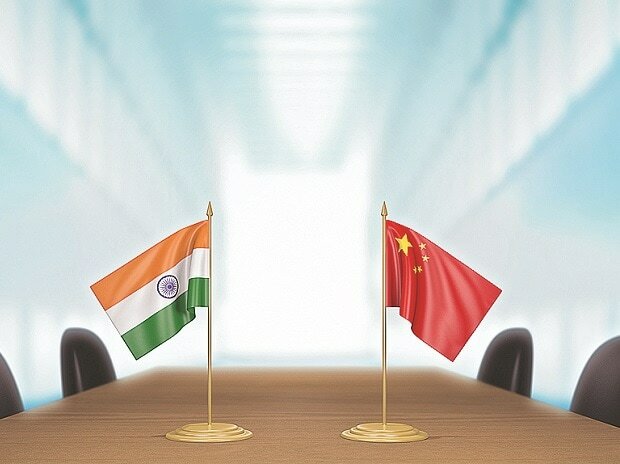 It's remarkable given the lead major economies have taken – China and India by doing something, and the U.S. by holding off – how few economists see imminent steps elsewhere. That's despite China's slowdown reverberating through the region, tech-industry woes hitting exports and a very pronounced bout of disinflation. Take Malaysia, which sets interest rates this week. Of the more than 20 economists surveyed by Bloomberg News ahead of Bank Negara Malaysia's monthly decision Tuesday, a grand total of zero predict a nudge lower. I'm not picking on Malaysia; it's just that this projection of stasis is emblematic of how conservative forecasting and policy feels. Why there isn't a clamor for a rate reduction in Indonesia, the Philippines or Thailand is perplexing to me. What is the case for Malaysia to trim borrowing costs? Export growth slowing, and there’s that decline in consumer prices I wrote about. The government says the economy doesn’t look anything like it did in 2009 when CPI last dropped. That's true. Yet it doesn't translate into an argument for doing anything. It's entirely possible Malaysia's central bank will lay the ground for a move later in the year. Caution only makes India and China stand out more. They are also big enough to take a degree of unilateral action, though the Fed's lean away from tighter policy helped. Questions about independence are worth airing: The PBOC isn't autonomous and India is on its third central banker during Prime Minister Narendra Modi's five-year term. That doesn’t mean policy is wrong. How often have we heard about a global order dominated by the U.S., China and India? There's been plenty of skepticism, rightly, about whether the last two are ready to lead on multiple fronts. In the monetary cosmos, at least, it feels like there’s alignment. We may have stumbled into the future.